Seize the deal before it’s gone. 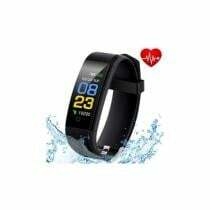 Check out 58% off X9 Waterproof Smart Watch Dynamic Heart Rate Monitor Wristband at Joy Buy now. Find more discounts and offers from Joy Buy just at CouponAnnie in April 2019. Seize the deal before it’s gone. 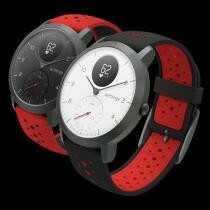 Check out $50 off Misfit Vapor 2 Watch at Misfit Online Store now. Find more discounts and offers from Misfit Online Store just at CouponAnnie in April 2019. Seize the deal before it’s gone. 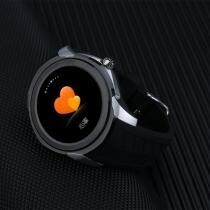 Check out 43% off ECG Monitor Watch at BangGood now. Find more discounts and offers from BangGood just at CouponAnnie in April 2019. Seize the deal before it’s gone. 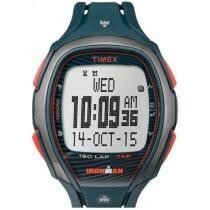 Check out 20% off Timex IRONMAN Sport Watch + Free Shipping at Rakuten now. Find more discounts and offers from Rakuten just at CouponAnnie in April 2019. Seize the deal before it’s gone. 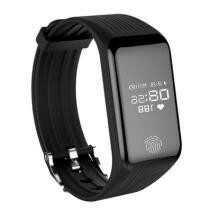 Check out 58% off X9 Waterproof SmartWatch Dynamic Heart Rate Monitor Wristband at Joy Buy now. Find more discounts and offers from Joy Buy just at CouponAnnie in April 2019. Seize the deal before it’s gone. Check out $219 Apple Watch Series 3 + Free Shipping at Walmart now. Find more discounts and offers from Walmart just at CouponAnnie in April 2019. Seize the deal before it’s gone. 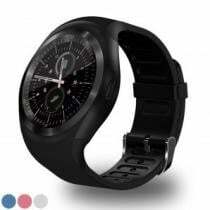 Check out 72% off Polaroid SW1505 Men's Fitness Tracker Touchscreen Smartwatch at Shnoop now. Find more discounts and offers from Shnoop just at CouponAnnie in April 2019. Seize the deal before it’s gone. Check out Michael Kors Access: Bradshaw Smartwatch 44.5mm (2 Colors) at Bloomingdale's now. Find more discounts and offers from Bloomingdale's just at CouponAnnie in April 2019. Seize the deal before it’s gone. 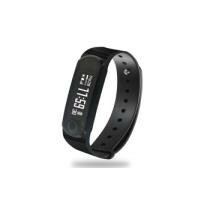 Check out 50% off Fitness Tracker w/ Pedometer at 1Sale now. Find more discounts and offers from 1Sale just at CouponAnnie in April 2019. Seize the deal before it’s gone. Check out Apple Watch Series 3 (42mm, Space Gray) at eBay now. Find more discounts and offers from eBay just at CouponAnnie in April 2019. Seize the deal before it’s gone. 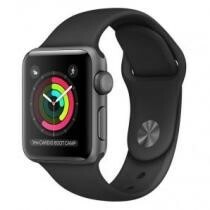 Check out Apple Watch Series 3 (GPS) 38mm Space Gray Aluminum Case at Best Buy now. Find more discounts and offers from Best Buy just at CouponAnnie in April 2019. Seize the deal before it’s gone. 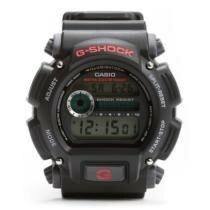 Check out G-Shock GD-120 Military Black Sports Stylish Watch - Black Now $72.95 + Free Shipping at Groupon now. Find more discounts and offers from Groupon just at CouponAnnie in April 2019. Save on S69 Smart Watch Pedometer Sleep Monitoring Remote Control Camera Fitness Tracker Life Waterproof Alarm Wristwatch. Verizon Wireless is clearing out these Tile Sports (1 pack for $12.49, 2 pack for $24.99) after you use this coupon code during checkout. Seize the deal before it’s gone. Check out 48% off Apple Watch Series 3 Refurbished Smartwatch at A4c now. Find more discounts and offers from A4c just at CouponAnnie in April 2019. Seize the deal before it’s gone. Check out 72% off Apple Watch Series 2 Refurbished Smartwatch at Daily Sale now. Find more discounts and offers from Daily Sale just at CouponAnnie in April 2019. Seize the deal before it’s gone. Check out 38% off Apple Watch Series 3 Smartwatch at A4c now. Find more discounts and offers from A4c just at CouponAnnie in April 2019. Seize the deal before it’s gone. 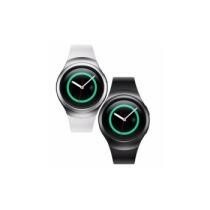 Check out 35% off Samsung Galaxy Bluetooth Watch Bundle + Free Shipping at eBay now. Find more discounts and offers from eBay just at CouponAnnie in April 2019. Seize the deal before it’s gone. 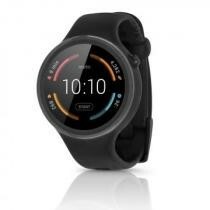 Check out 76% off Motorola Moto 360 Sport Smartwatch at A4c now. Find more discounts and offers from A4c just at CouponAnnie in April 2019. Seize the deal before it’s gone. 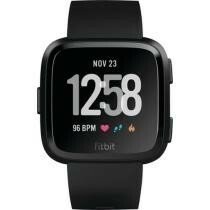 Check out $20 off Fitbit Versa at Rakuten now. Find more discounts and offers from Rakuten just at CouponAnnie in April 2019. Seize the deal before it’s gone. Check out 47% off Apple Watch Series 3 Refurbished Smartwatch at A4c now. Find more discounts and offers from A4c just at CouponAnnie in April 2019. Seize the deal before it’s gone. Check out 50% off Apple Watch Series 3 Smartwatch + Free Shipping at eBay now. Find more discounts and offers from eBay just at CouponAnnie in April 2019. Seize the deal before it’s gone. Check out 38% off Apple Watch Series 4 Refubished Smartwatch at A4c now. Find more discounts and offers from A4c just at CouponAnnie in April 2019. Seize the deal before it’s gone. Check out 73% off Apple Watch Series 3 Smartwatch at A4c now. Find more discounts and offers from A4c just at CouponAnnie in April 2019. Seize the deal before it’s gone. 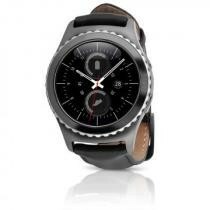 Check out 34% off Samsung Galaxy Bluetooth Watch Bundle + Free Shipping at eBay now. Find more discounts and offers from eBay just at CouponAnnie in April 2019. Seize the deal before it’s gone. 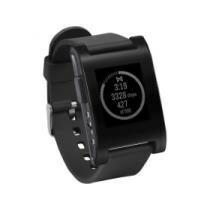 Check out 81% off Bluetooth Smart Watch at Daily Sale now. Find more discounts and offers from Daily Sale just at CouponAnnie in April 2019. Seize the deal before it’s gone. 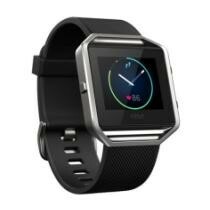 Check out 33% off Fitbit Alta HR Activity Tracker at Groupon now. Find more discounts and offers from Groupon just at CouponAnnie in April 2019. Seize the deal before it’s gone. 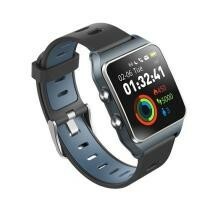 Check out 69% off Id115 Plus Smart Watch Bracelet w/ Real Heart Rate Monitor Pedometer at Groupon now. Find more discounts and offers from Groupon just at CouponAnnie in April 2019. Seize the deal before it’s gone. 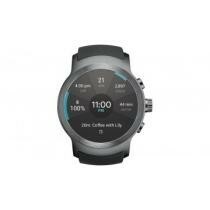 Check out $10 off Huawei Honor Magic Smart Watch at GeekBuying now. Find more discounts and offers from GeekBuying just at CouponAnnie in April 2019. If you're one to lose your keys, wallet, or phone often then this is a great deal for you. Simply stick the tile onto your device or item and if you ever lose it you can ring for it. Use the Tile App to trigger a sound so you can find your misplaced item. The tile ships for free and has a free 30 day return policy. Seize the deal before it’s gone. 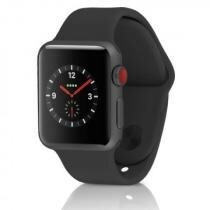 Check out Double Rivets Silicone Watch Band for Apple Watch Series 3, 2 & 1 38mm - Black Now $4.45 at Sunsky Online now. Find more discounts and offers from Sunsky Online just at CouponAnnie in April 2019. Seize the deal before it’s gone. 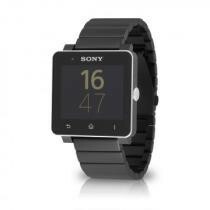 Check out 75% off Sony SW2 Refurbished Smartwatch at A4c now. Find more discounts and offers from A4c just at CouponAnnie in April 2019. I bought this exact smartwatch months ago for about $100 more and still think it was totally worth it. It allows you to track your calories burned during the day, monitors your heart rate, can send and receive texts with, and more. You can get it today for just $284 with free shipping. Seize the deal before it’s gone. Check out 70% off Apple Watch Series 2 Refurbished Smartwatch at Daily Sale now. Find more discounts and offers from Daily Sale just at CouponAnnie in April 2019. Seize the deal before it’s gone. 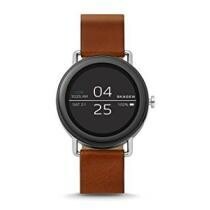 Check out 45% off Falster 1 Smartwatch at Skagen now. Find more discounts and offers from Skagen just at CouponAnnie in April 2019. Seize the deal before it’s gone. 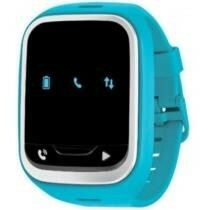 Check out 78% off LG GizmoPal 2 VC110 Verizon Wireless GPS Track Call Child Wearable Smartwatch at Daily Sale now. Find more discounts and offers from Daily Sale just at CouponAnnie in April 2019. Seize the deal before it’s gone. 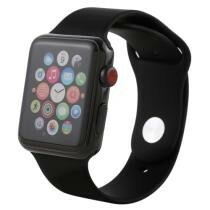 Check out 70% off Apple Series 2 Refurbished Smartwatch at Daily Sale now. Find more discounts and offers from Daily Sale just at CouponAnnie in April 2019. Seize the deal before it’s gone. 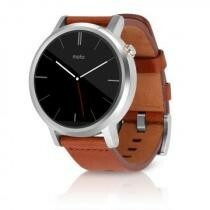 Check out 50% off Makibes BR3 Smart Watch at GeekBuying now. Find more discounts and offers from GeekBuying just at CouponAnnie in April 2019. Seize the deal before it’s gone. 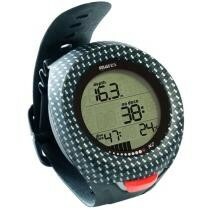 Check out 36% off Mares Puck Pro Wrist Computer at Leisure Pro now. Find more discounts and offers from Leisure Pro just at CouponAnnie in April 2019. 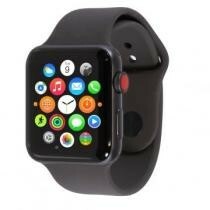 I actually have the 42mm version of this exact Apple Watch. 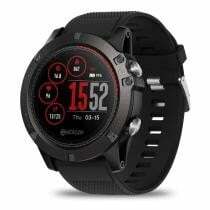 I use it on a daily basis to track calories burned, to answer text messages and more. When I bought it, I think I got it for around $350 or so. 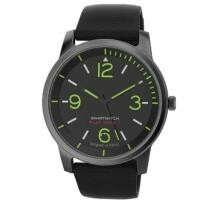 Today you can get this 38mm version for just $264 with free shipping. Seize the deal before it’s gone. 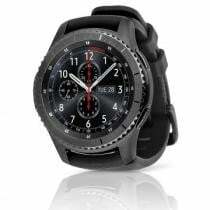 Check out 57% off Samsung Gear S3 Refurbished Smartwatch at A4c now. Find more discounts and offers from A4c just at CouponAnnie in April 2019. Seize the deal before it’s gone. 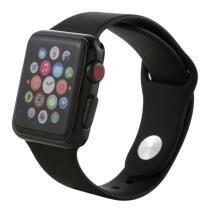 Check out 66% off Apple Series 3 Refurbished Smartwatch at Daily Sale now. Find more discounts and offers from Daily Sale just at CouponAnnie in April 2019. Seize the deal before it’s gone. Check out 11% off Steel HR Sport Smartwatch + Free Band at Withings now. Find more discounts and offers from Withings just at CouponAnnie in April 2019. Seize the deal before it’s gone. 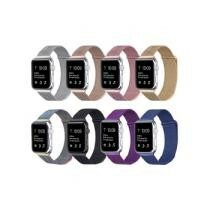 Check out 45% off Apple Series 3 Sport Watch at A4c now. Find more discounts and offers from A4c just at CouponAnnie in April 2019. Seize the deal before it’s gone. 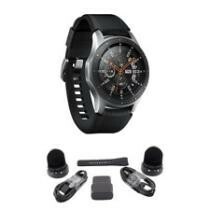 Check out 55% off Samsung R730 SM-R730V Gear S2 Verizon Wireless Smartwatch at Groupon now. Find more discounts and offers from Groupon just at CouponAnnie in April 2019. Seize the deal before it’s gone. Check out 74% off Samsung Gear S2 Refurbished Smartwatch at A4c now. Find more discounts and offers from A4c just at CouponAnnie in April 2019. Seize the deal before it’s gone. Check out 51% off Samsung Gear S3 Refurbished Smartwatch at A4c now. Find more discounts and offers from A4c just at CouponAnnie in April 2019. Seize the deal before it’s gone. Check out 69% off Apple Watch Series 3 Smartwatch at A4c now. Find more discounts and offers from A4c just at CouponAnnie in April 2019. Seize the deal before it’s gone. 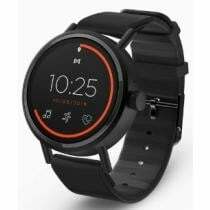 Check out 63% off Motorola Moto 360 2nd Gen. Refurbished Smartwatch at A4c now. Find more discounts and offers from A4c just at CouponAnnie in April 2019. Seize the deal before it’s gone. 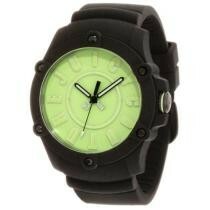 Check out 79% off Women's Juicy Couture Surfside Strap Watch at Shnoop now. Find more discounts and offers from Shnoop just at CouponAnnie in April 2019. Seize the deal before it’s gone. 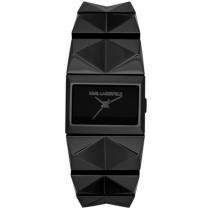 Check out 72% off Karl Lagerfeld Perspektive Black Ion Plated Stainless Steel Pyramid Stud Bracelet Watch at Shnoop now. Find more discounts and offers from Shnoop just at CouponAnnie in April 2019. Seize the deal before it’s gone. 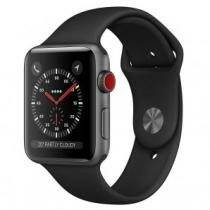 Check out 68% off Apple Watch Series 3 Refurbished Smartwatch at A4c now. Find more discounts and offers from A4c just at CouponAnnie in April 2019. Seize the deal before it’s gone. 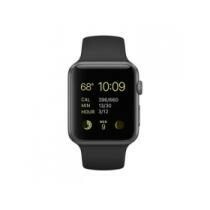 Check out 42% off Apple Watch Black Series 3 Sport 42MM GPS + 4G LTE Cellular Unlocked Smartwatch w/ Aluminum Space Gray Case at A4c now. Find more discounts and offers from A4c just at CouponAnnie in April 2019. Seize the deal before it’s gone. 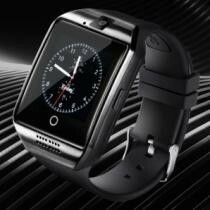 Check out 81% off Bluetooth Touch Screen Smart Watch at Daily Sale now. Find more discounts and offers from Daily Sale just at CouponAnnie in April 2019. Seize the deal before it’s gone. 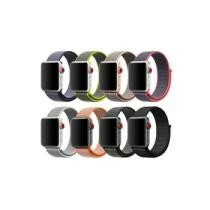 Check out Up to 72% off Waloo Sport Loop Breathable Nylon Weave Band for Apple Watch Series 4/3/2/1 at Groupon now. Find more discounts and offers from Groupon just at CouponAnnie in April 2019. Seize the deal before it’s gone. 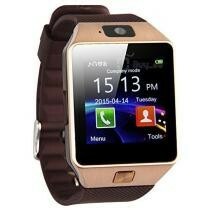 Check out 80% off Bluetooth Smart Watch at Daily Sale now. Find more discounts and offers from Daily Sale just at CouponAnnie in April 2019. Seize the deal before it’s gone. Check out 50% off Samsung Gear S3 Refurbished Classic Smartwatch at A4c now. Find more discounts and offers from A4c just at CouponAnnie in April 2019. Seize the deal before it’s gone. 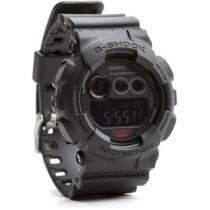 Check out 58% off Men's Casio DW9052-1V G Shock Stainless Steel & Resin Digital Watch at Groupon now. Find more discounts and offers from Groupon just at CouponAnnie in April 2019. Seize the deal before it’s gone. Check out 91% off Milanese Loop Mesh Band for Apple Watch Series 1, 2, & 3 at Groupon now. Find more discounts and offers from Groupon just at CouponAnnie in April 2019. Seize the deal before it’s gone. 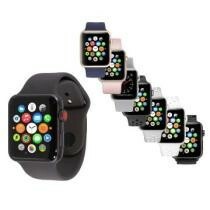 Check out 15% off Color Screen Non-Working Fake Dummy Display Model for Apple Watch Series 3 42mm at Sunsky Online now. Find more discounts and offers from Sunsky Online just at CouponAnnie in April 2019. Seize the deal before it’s gone. 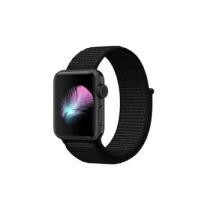 Check out 15% off Color Screen Non-Working Fake Dummy Display Model for Apple Watch Series 3 38mm at Sunsky Online now. Find more discounts and offers from Sunsky Online just at CouponAnnie in April 2019. Seize the deal before it’s gone. 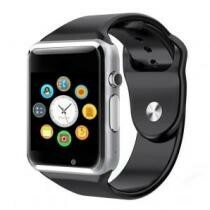 Check out 75% off Bluetooth Smart Watch at Daily Sale now. Find more discounts and offers from Daily Sale just at CouponAnnie in April 2019. Seize the deal before it’s gone. Check out 15% off Print Milan Steel Wrist Watch Band for Apple Watch at Sunsky Online now. Find more discounts and offers from Sunsky Online just at CouponAnnie in April 2019. Seize the deal before it’s gone. 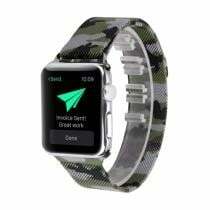 Check out Print Milan Steel Wrist Watch Band for Apple Watch Now $8.02 at Sunsky Online now. Find more discounts and offers from Sunsky Online just at CouponAnnie in April 2019. Seize the deal before it’s gone. 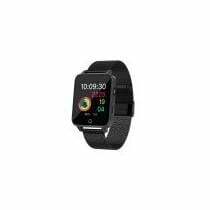 Check out 9% off Fitbit Blaze Smart Fitness Watch w/ Heart Rate Monitor + Free Shipping at QVC now. Find more discounts and offers from QVC just at CouponAnnie in April 2019. Seize the deal before it’s gone. 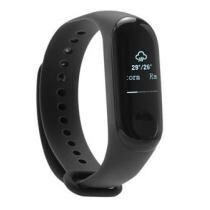 Check out 64% off Xiaomi Mi Band 3 Smart Bracelet, Replacement Strap & Protective Screen Film at GeekBuying now. Find more discounts and offers from GeekBuying just at CouponAnnie in April 2019. Seize the deal before it’s gone. Check out 49% off Samsung Gear S3 Refurbished Classic Smartwatch at A4c now. Find more discounts and offers from A4c just at CouponAnnie in April 2019. Seize the deal before it’s gone. 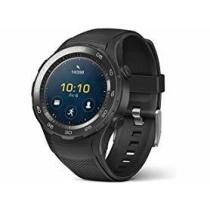 Check out 37% off Huawei 4GB Leo-B09 B Watch 2 Sport Smartwatch at Woot! now. Find more discounts and offers from Woot! just at CouponAnnie in April 2019. Seize the deal before it’s gone. 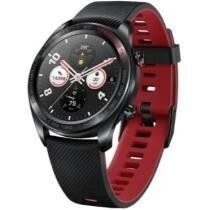 Check out 63% off LG Refurbished Sports Watch at A4c now. Find more discounts and offers from A4c just at CouponAnnie in April 2019. Seize the deal before it’s gone. 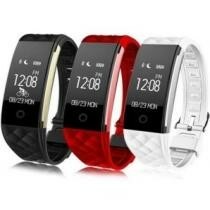 Check out 15% off C1 Plus 8GB ROM 512MB RAM Smart Watch Phone at Sunsky Online now. Find more discounts and offers from Sunsky Online just at CouponAnnie in April 2019. Seize the deal before it’s gone. 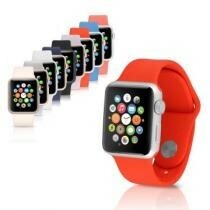 Check out 80% off Silicone Sports Replacement Band for Apple Watch Series 1, 2 or 3 at Groupon now. Find more discounts and offers from Groupon just at CouponAnnie in April 2019. Seize the deal before it’s gone. 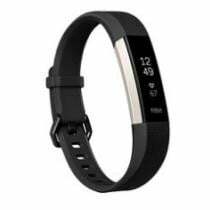 Check out 15% off CHIGU C1Plus Fitness Tracker 0.96 Inch IPS Screen Smartband Bracelet at Sunsky Online now. Find more discounts and offers from Sunsky Online just at CouponAnnie in April 2019. Seize the deal before it’s gone. 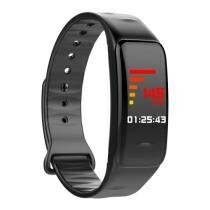 Check out 15% off TLW B3 Fitness Tracker 0.66 Inch OLED Screen Wristband Smart Bracelet at Sunsky Online now. Find more discounts and offers from Sunsky Online just at CouponAnnie in April 2019. Seize the deal before it’s gone. 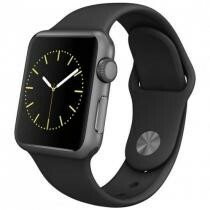 Check out 28% off Refurbished Apple Watch Series 1 Sport 42MM Space Gray Aluminum Case w/ Black Sport Band - Fair Condition at JemJem now. Find more discounts and offers from JemJem just at CouponAnnie in April 2019. Seize the deal before it’s gone. 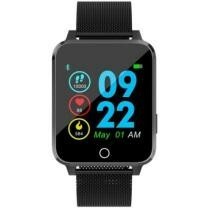 Check out Fitbit Blaze Smart Fitness Watch (Refurb) at All4cellular now. Find more discounts and offers from All4cellular just at CouponAnnie in April 2019. Seize the deal before it’s gone. 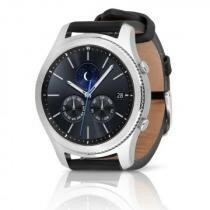 Check out 69% off Samsung Gear S2 Classic 4G Refurbished Smartwatch at A4c now. Find more discounts and offers from A4c just at CouponAnnie in April 2019. Seize the deal before it’s gone. 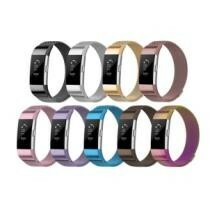 Check out 83% off S2 Smart Bracelet Fitness Tracker at Daily Sale now. Find more discounts and offers from Daily Sale just at CouponAnnie in April 2019. Seize the deal before it’s gone. Check out 80% off Jarv Elite Water-Resistant Fitness Tracker Activity Band & Smart Watch at Groupon now. Find more discounts and offers from Groupon just at CouponAnnie in April 2019. Seize the deal before it’s gone. 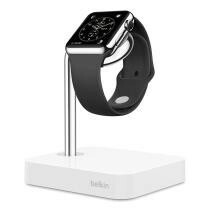 Check out 15% off Belkin Valet Charge Dock/Stand w/ Integrated Magnetic Charger & 4-Foot Charging Cable for Apple Watch + Free Shipping at Rakuten now. Find more discounts and offers from Rakuten just at CouponAnnie in April 2019. Seize the deal before it’s gone. 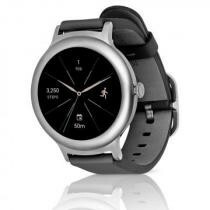 Check out 64% off LG W270 Refurbished Smartwatch at A4c now. Find more discounts and offers from A4c just at CouponAnnie in April 2019. Seize the deal before it’s gone. 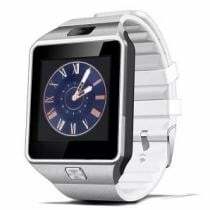 Check out 91% off Bluetooth Smartwatch at Daily Sale now. Find more discounts and offers from Daily Sale just at CouponAnnie in April 2019. Seize the deal before it’s gone. Check out 65% off Apple Watch Sport at A4c now. Find more discounts and offers from A4c just at CouponAnnie in April 2019. Couponannie features a carefully picked selection of Wearable Technology deals 2019. To stretch your dollar even further, start taking advantage of Wearable Technology discounts now. On this Wearable Technology deals page, you can easily narrow your search and get the best deals by category, store, brand and price. There's a nice picture of each product and key discount information, including the original price, sale price and price drop percentage that tell you whether this deal is worthwhile. 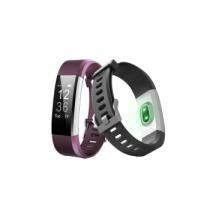 Check these Wearable Technology deals and be a smart shopper. 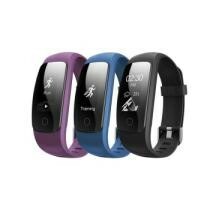 Here at Couponannie, you can find huge price cuts in lots of products you could buy on Wearable Technology, including Smart Watches, Running Watches, Wearable Cameras, Smart Glasses, Smart Clips, Arm & Wristbands, Running GPS Units, Smart Rings, GPS & Navigation Equipment, Fitness Technology, Activity Trackers, Heart Rate Monitors, Body Mounted Cameras, Wireless & Bluetooth Headphones, Wireless Activity Trackers & Health Monitors, Wireless Heart Rate Monitors, Smart Tracking, Family Wearables, Smart Sport Accessories, Healthcare Devices, Gesture Control & Entertainment, and many more. Grab some of the best Wearable Technology deals and utilize your money smartly to save some extra bucks. At Couponannie, you'll find amazing Wearable Technology deals from top stores like Amazon, Target Optical, Elsevier Health, Harman Audio, Quill, Panasonic, Que Publishing, Newegg, Horizon Hobby Distributors, GearBest, Lrp Conferences, Tiny Deal, Elsevier, Dell, Boscovs, Rakuten, Safe Harbor Computers, First Alert, Optics Planet, Garmin, and many more. If you shop online, make sure you read the return and exchange policies on retailers' sites. And to make sure you're getting a good Wearable Technology deal, search Couponannie for a coupon code or promo code that will let you save some extra bucks. But exclusions may apply sometimes, and discount applies to selected products or categories. Read them carefully, too. We have checked prices at multiple retailers to make sure we give you the best price. 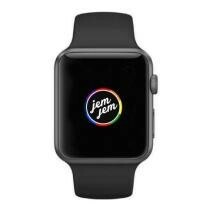 So, remember to check out our site first before hunting for the best Wearable Technology deals. Happy saving!